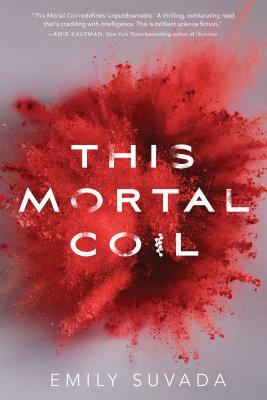 "This Mortal Coil redefines 'unputdownable.' A thrilling, exhilarating read that's crackling with intelligence. Compelling characters and and incredible twists come together perfectly—I loved this book. This is brilliant science fiction." "I was thrilled; I was shocked; I have so many questions. I want to know what happens next." "Suvada sets up a familiar opposition in this post-apocalyptic future and then quickly upends it . . . Readers will eagerly anticipate delving further into Cat and Cole’s world and adventures." "Suvada’s debut novel balances characterization and action with an intensity that readers of dystopian fantasy will find infectious." "Suvada’s scary, action-packed debut novel barely takes a breath, and its exploration of what makes us human goes well below the surface."